Concerned about the welfare of your pet if you become sick or die? Consider a pet trust. Believe it or not, in America, more adults have pets than children. Most people consider their pets as part of their families. A 2007 survey of the American Animal Hospital Association found that 83 percent of pet owners refer to themselves as their pets “mom” or “dad”. So what happens to these pets when their “parents” die or become incapacitated? The best way for an owner to ensure the continuity of care for their pet is to establish a pet trust. New York’s Estate Powers and Trusts Law § 7-8.1 allows for such trusts for the care of pets and protects trust funds from being used for anything other than the pet’s benefit. 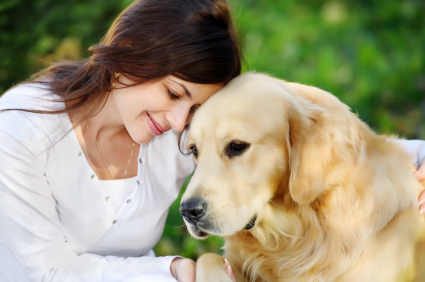 Many people have traditionally provided for pets in their will. But this is a flawed plan and can pose many problems. First, a will is usually not read or produced for days, if not weeks after the owner’s death. Second, the caretaker named in the will holds only an honorary position. He/she may abscond with funds intended to care for the pet or leave the animal in a shelter and the courts don’t have the authority to enforce the owner’s instructions. So, by example, if you write in your will that you leave $10,000 to your niece with instructions that the money is to be used for your beloved beagle Fido, your niece can pocket the money and abandon Fido without the fear of any legal reprisals. Courts, however, can enforce the owner’s instructions if they are contained in a pet trust. Additionally, the terms of a trust can be enforced during the owner’s lifetime, whereas the terms of a will only apply after the owner’s death- significant for the pet of an owner who becomes incapacitated and unable to care for their pet. An owner who becomes disabled an unable to care for their pet can direct in their trust that the caretaker bring the pet for visits. The effect a pet can have on people’s physical and mental health is well documented. Whether its playing a game of catch with a stroke victim or being a calm, familiar face for an owner suffering from the diseases of old age, pets can play an important role in a sick person’s life. So how does it work? First, the owner should establish a pet trust. Second, the owner’s will should be written or amended to name the trust and arrange for its funding. Every pet trust, of course, should name a trustee. The trustee disburses funds to a named caretaker, who shall carry out the owner’s instructions for the care of the pet. These instructions can be detailed- from the food the pet prefers, to the park the pets likes to walk, to the owner’s preferred vet or groomer. A client with more than one pet can direct that the pets live together. How much money should be placed in the trust? This can be tricky. You’ll want to feel comfortable that your pet is well provided for. However, if you fund the trust lavishly, you open the door to legal challenges. Other potential heirs might seek to invalidate the trust claiming that you were not of sound mind. Therefore, always give good reasons in the trust document for the amount you transfer to a pet trust. This will substantiate your good judgment and enforce the pet trust in case of a conflict.